The Success Criteria activity helps clarifying intentions, target outcomes, and results for success criteria. It is a futurospective activity for identifying and framing intentions, target outcomes and success criteria. 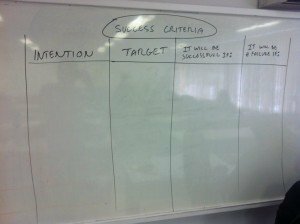 Success Criteria should be brief, succinct, with clearly defined intentions, target outcome, and conditions for proving its results. Intention: the idea that you plan (or intend) to carry out. 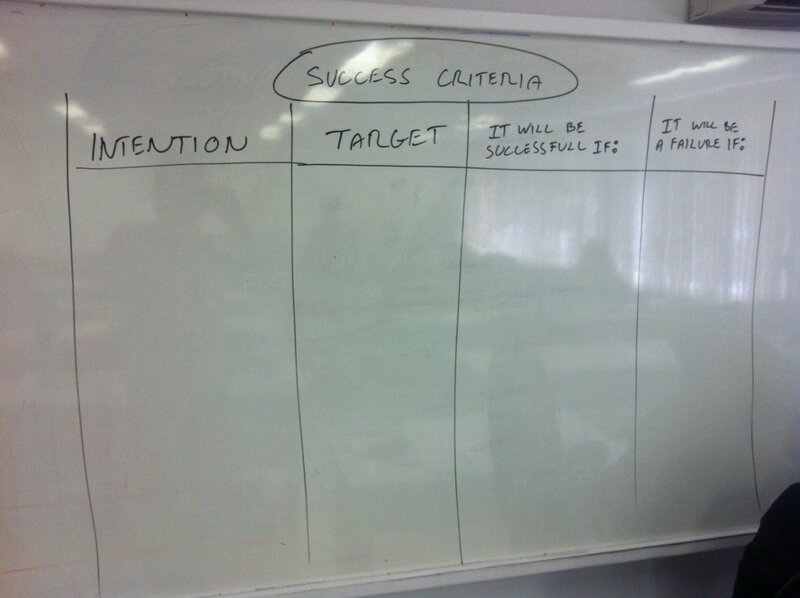 Target: the key target outcomes towards the intention. Successful if: The indicator(s) that prove(s) the criteria is being met. Failure if: The indicator(s) that prove(s) the criteria is not being met. Place the notes on the target area. Organize the target outcomes. Consider grouping similar notes, and removing or rewriting notes that are not clear or broadly defined. 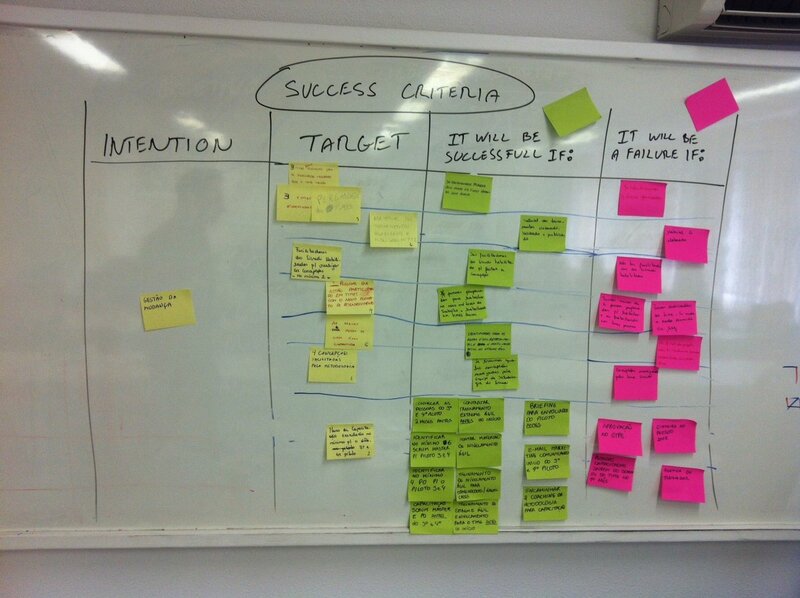 Ask the participants to write and place notes for each target outcome for the success and failure indication condition. Place these on the same line as the target outcome. Group conversation about the notes on each line. Please find below a sequence of photos for this activity. 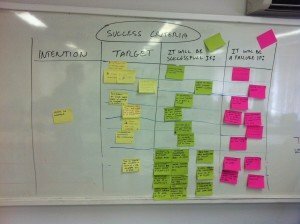 Planning success criteria leads to more focused and less overplanning of activities. This activity is especially useful when looking ahead and planning for success. Even simple, the if inquiries for success or failure are very powerful on getting a team on the same page for defining and tracking progress for important criteria.